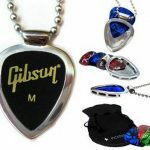 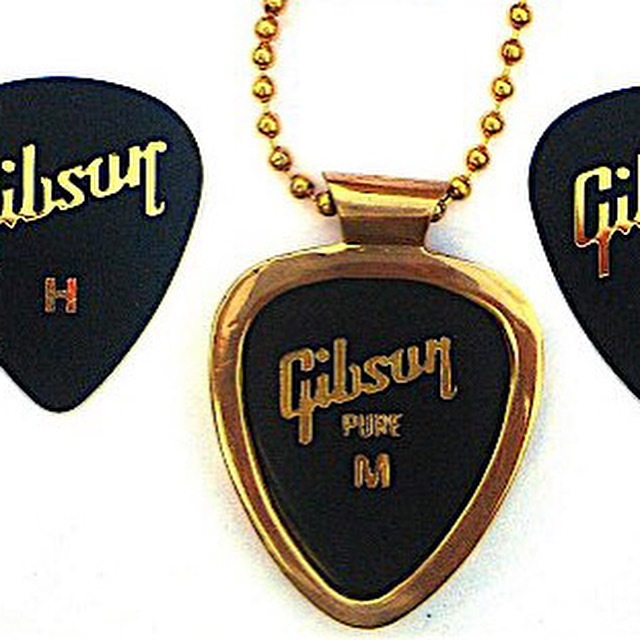 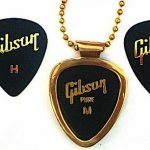 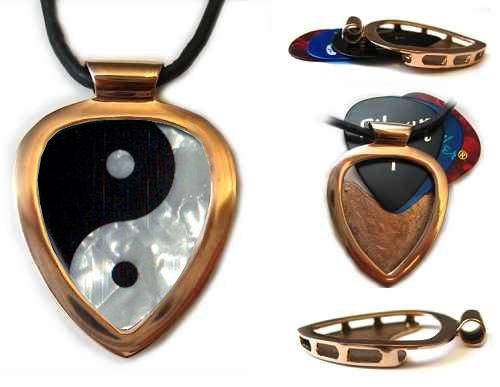 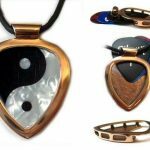 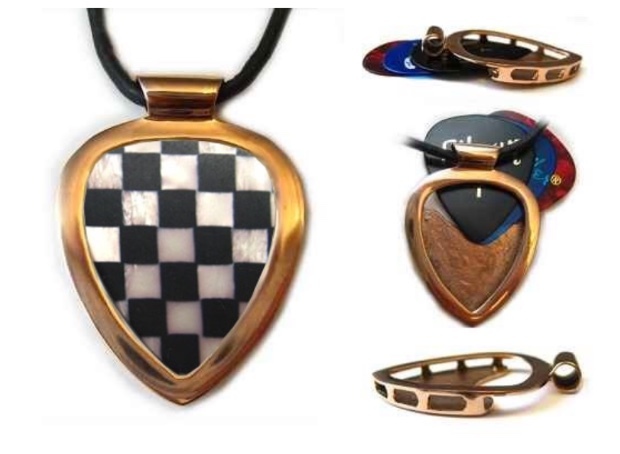 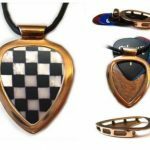 Red Gold IPG* Authentic PickBay Guitar Pick Holder Pendant Set + Vintage Italian-Made Red Gold Vein Guitar Pick, plus 2.4 Black ball chain necklace! 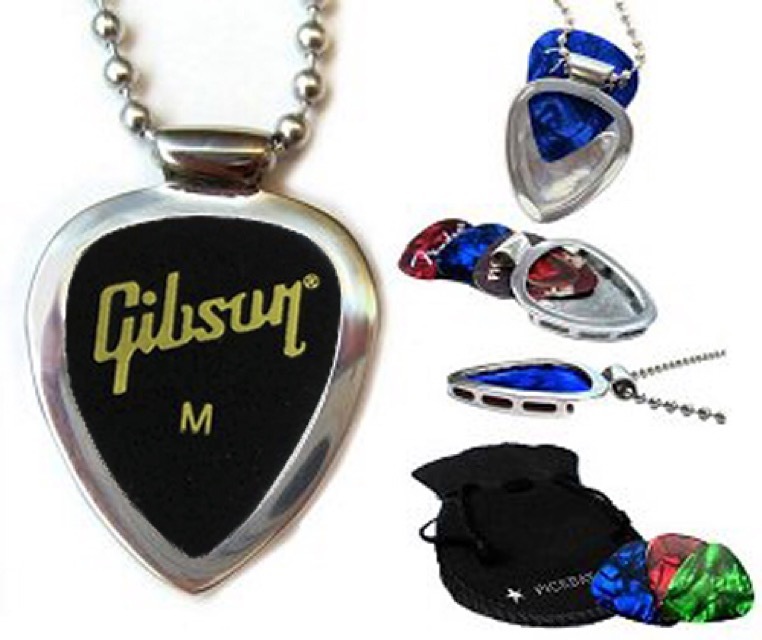 This combo includes a 2.4mm Black ball chain necklace , Vintage vein Guitar Pick,plus an additional bag of Picks, and a velvet bag that serves double duty as a polishing cloth. 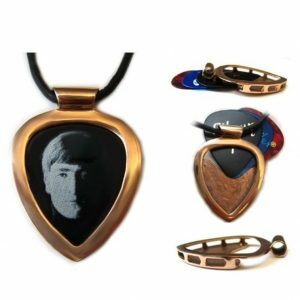 You can add a leather cord necklace too! 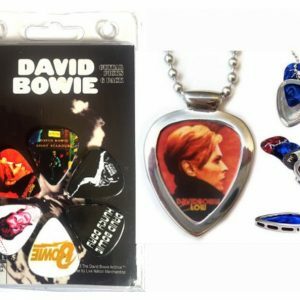 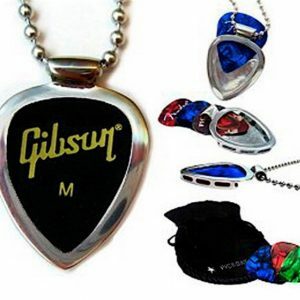 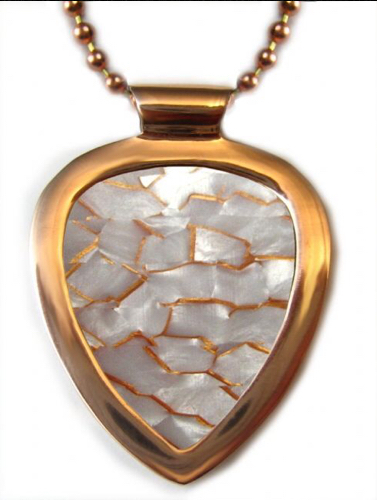 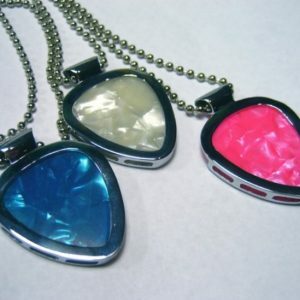 Most Perfectly Designed Pick Holder Necklace Ever!